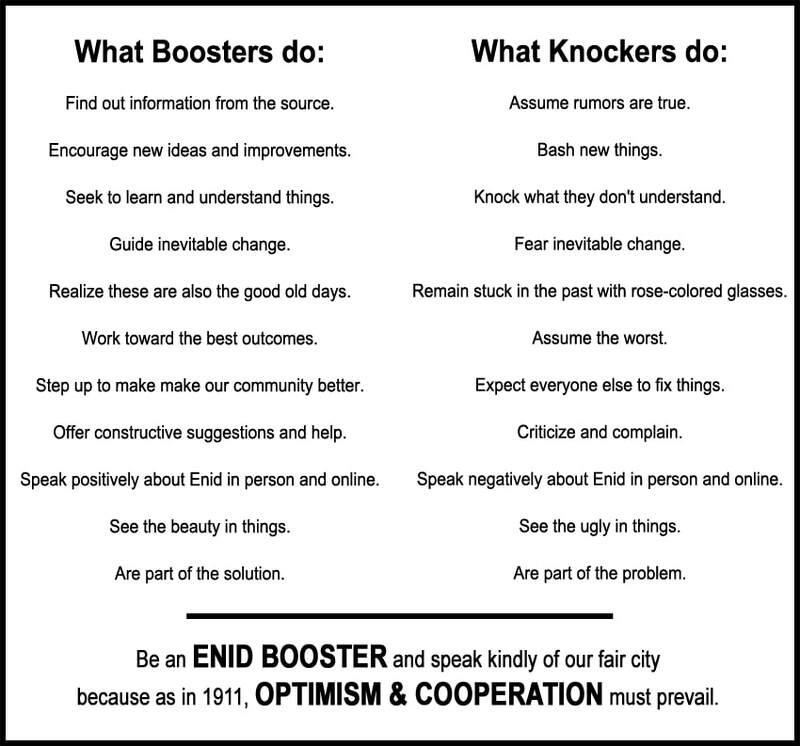 Boosters lift up our city with positivity and Knockers knock down ideas, improvements and progress. Learn more about Old Hammer and the Knocker Parade of 1911. Click the red hammer to join the Enid Boosters facebook group.